Stroker Industries’ Fog-Out anti-fog treatment is an anti-fog agent and cleaner for goggle lenses, helmet face shields, windshields, sunglasses and anything else you need to be fog-free. The 2-ounce bottle is $11.99 and includes a microfiber cloth for applying the treatment. 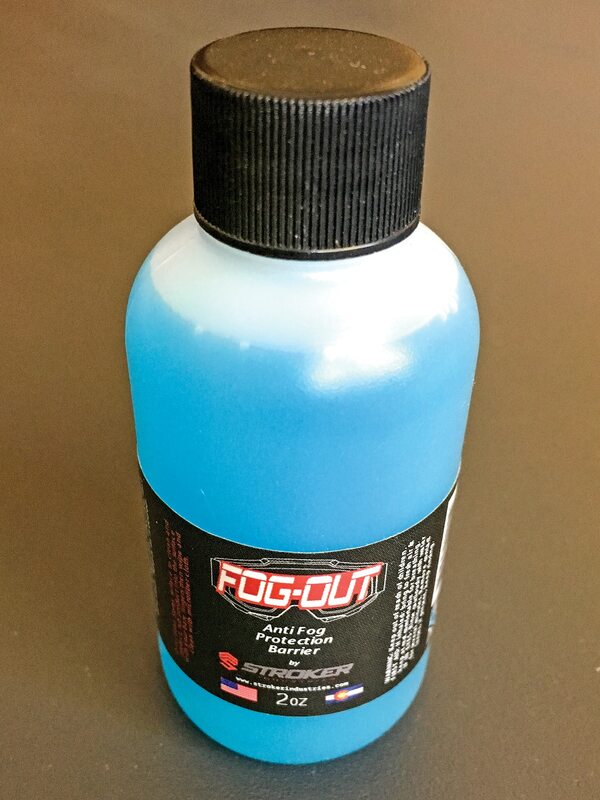 Fog-Out liquid comes in a 2-ounce bottle. The latest packaging includes a spray applicator and a microfiber cloth for applying the liquid. Fog-Out can be applied to wet or dry surfaces. The treatment also cleans away dirt. Since Fog-Out liquid is expensive, we used water to clean the goggle lens and face shield we tested before applying the solution to conserve it and to make sure nothing on the surface confused the results of our test. Once Fog-Out dries on a clean lens, it can’t be seen. We applied Fog-Out to half of a goggle lens and half a face shield and deliberately tried to fog them. The treated side of the lens and shield stayed perfectly clear, while the untreated side fogged badly. 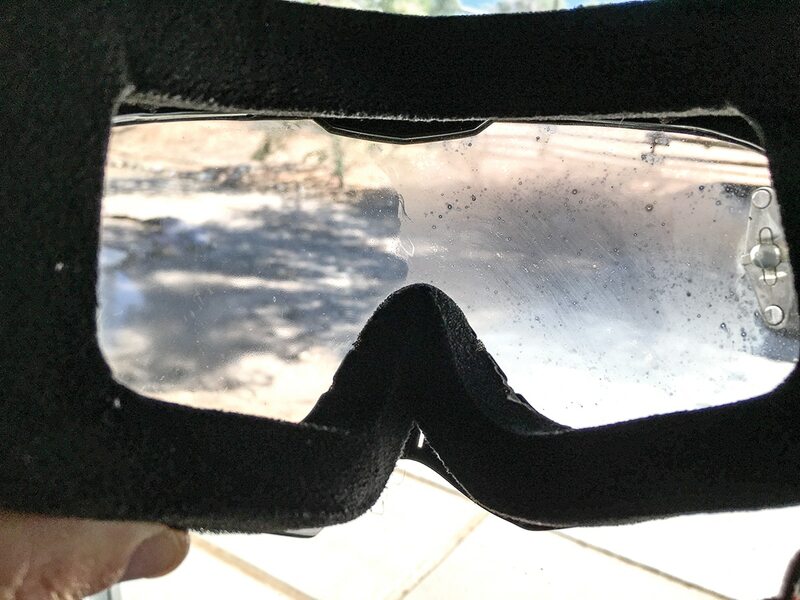 To see how well Fog-Out lasts, we tried fogging the goggle lens and face shield after a day of riding. Again, the treated side stayed fog-free while the untreated side fogged. Fogged goggle lenses, face shields and windshields are a nuisance that can be dangerous, and we normally tolerate it as a normal hazard of certain driving conditions. Fog-Out can eliminate the problem, making driving more fun and safer. It is on the expensive side for use on windshields, but clear vision and safety are always a good investment, especially when you consider the costly consequences accidents can have.